The prestigious Ballroom of Casino of Campione hosted, Monday 28th of June, the seventh edition of the "Ambassadors of Taste" set up by Italian Union of Restaurateurs, the recognition that rewards journalists and opinion leaders who have distinguished themselves in promoting Italian food and wine in our country and in the world. The Casino stands out visibly on the lake landscape, between the mountains and the small Campiono port. The large room on the ninth floor of the Casino offers guests an incomparable view of the Switzerland Lake, surrounded by high mountains. Down the hall, a buffet of products Conad - Taste and Surroundings, while a video screen is advertising, attended by chefs Union. As the president explained, it was a choice to bring the high cuisine to the Italian people. A light dinner, of three important dishes, followed by the buffet: paccheri with tomatoes and vegetables, bitter lobster with herbs of the field, accompanied by excellent Tuscan Vermentino, and finally a delicious rice and peaches cake. 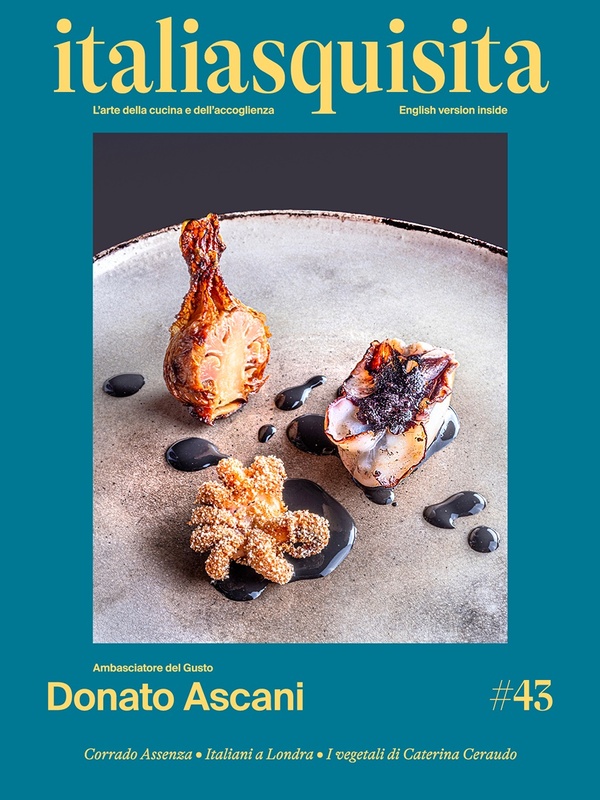 This year received recognition as "ambassadors of taste" journalists Alex Guzzi of Corriere della Sera, Enrico Saravalle of Bell'Italia and Sapori e Piaceri, and Alberto Lupini director of Italia a Tavola. A special award was also given to Alfredo Zini, national vice president of FIPE (Italian Federation of Public Concerns) for engagement in the protection of Italian food quality and Giovanni Panzeri, marketing director of brand Sapori&Dintorni of Conad for the development of Traditional Italian products. Here is the list of the chefs who prepared and participated at the evening: Patrizia Grossi of the restaurant La Torre di Casale Monferrato (AL), Giuseppe Sardi of Il Grappolo di Alessandria, Fabrizio Barontini of Gallo Rosso di Iseo (BS), Massimo Martina of Il Fiorile di Borghetto Borbera (AL), Marco Maniezzo of La Gria di Borgofranco d’Ivrea (TO), Fulvio Gardella of La Pineta di Genova, Giorgio Bove of the Antica Osteria of Castagna in Genova, Marino Frato of Cerere di Ponte Valtellina (SO), which have used the valuable collaboration of the Executive Chef of the Casino of Campione of Italy Lorenzo Staltari.